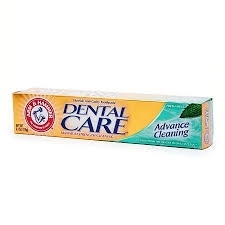 For Healthy Teeth and Gums, Brush Regularly with Arm & Hammer Dental Care? Questions Toll Free 1-800-524-1328 or myoralcare.com. Adults and children 2 years and older: Brush teeth thoroughly after meals or at least twice a day, or as directed by a dentist or physician.